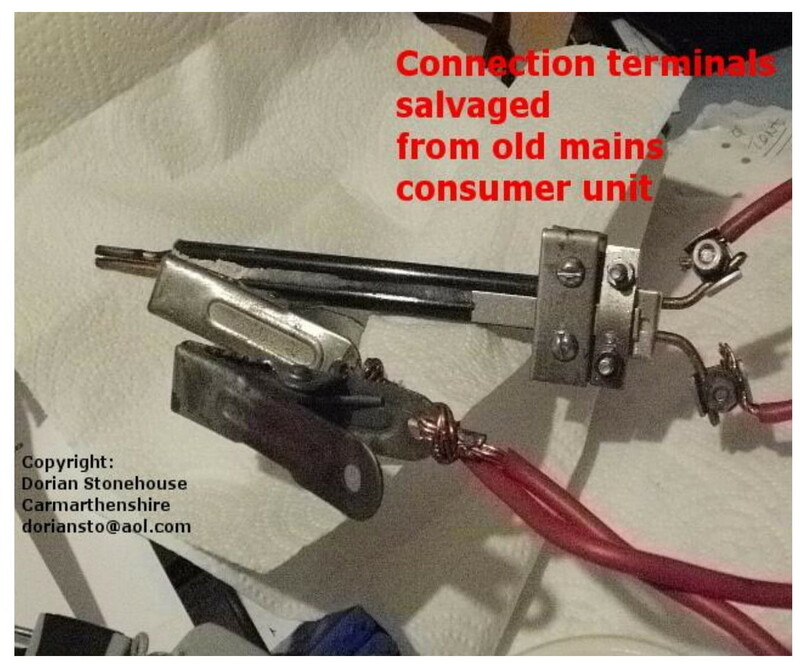 MAKING a spot welder out of an old welding transformer or microwave oven transformer is no big deal. 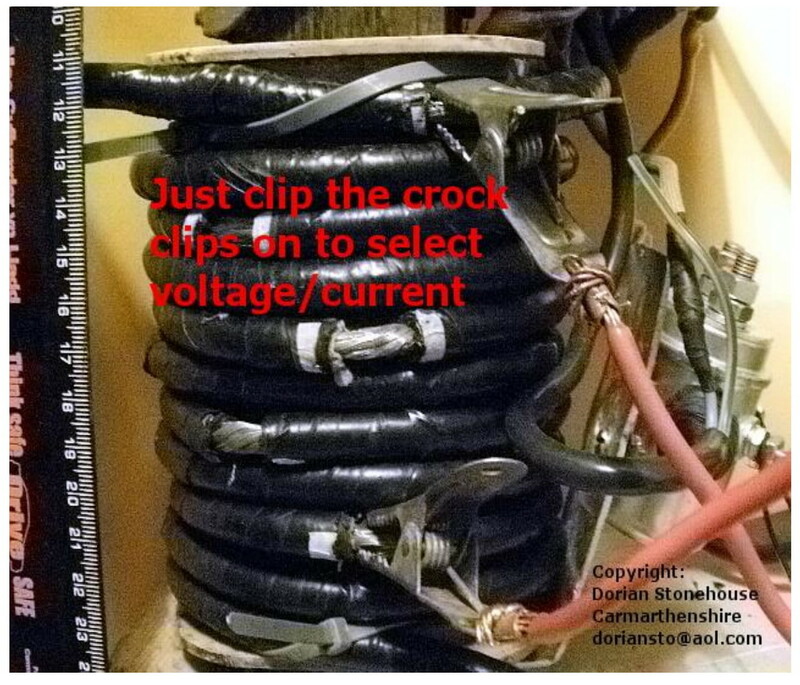 But remember: the ac output to the spot welding tool must be very high current, but low voltage capable – typically around a 1000 amps at 8 volts. 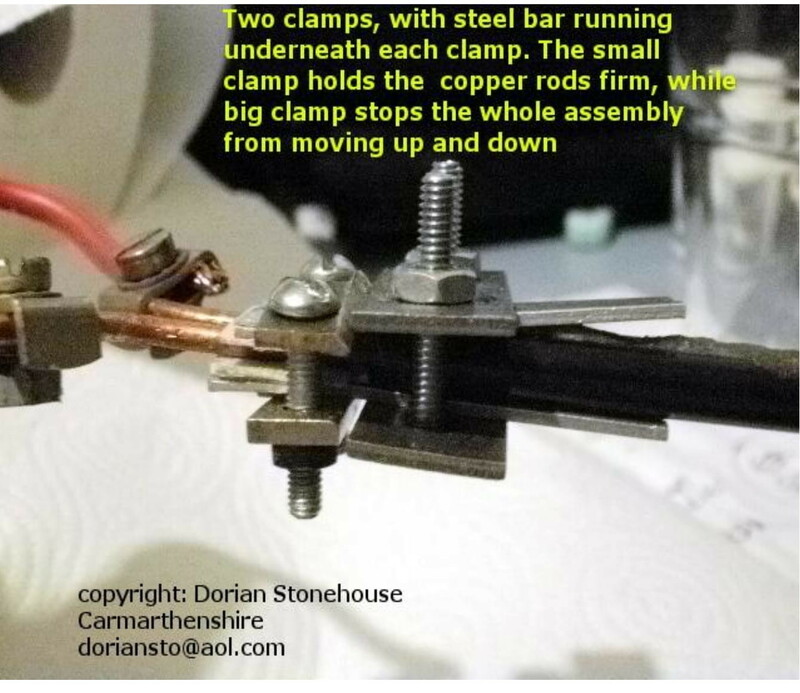 Everybody’s got an arc welder – Yea right! 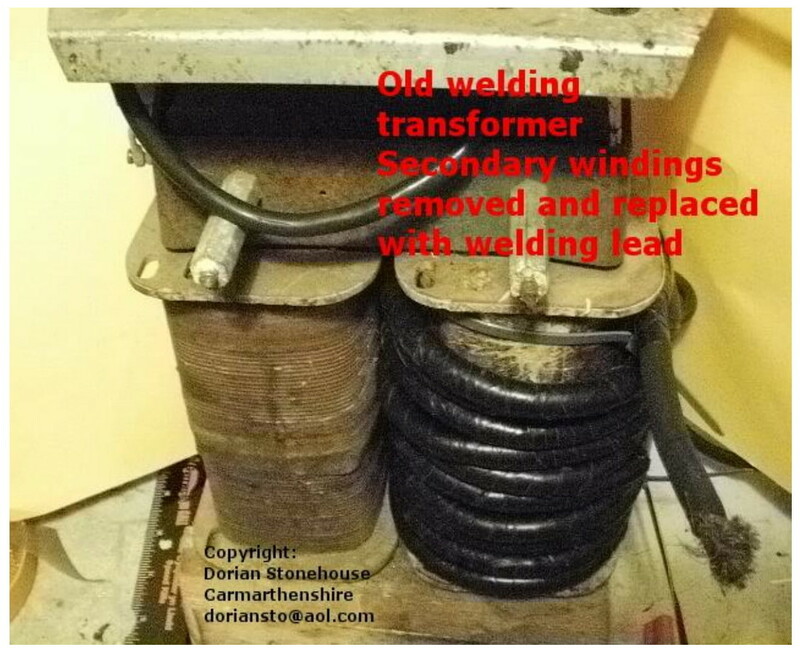 So, I made my spot welder out of an old arc welder, removed the secondary winding completely, then removed the electrode holder at the end of the welding cable and used this cable to wrap around the transformer secondary – hey presto, a nice 1000 amp/8volt coil! 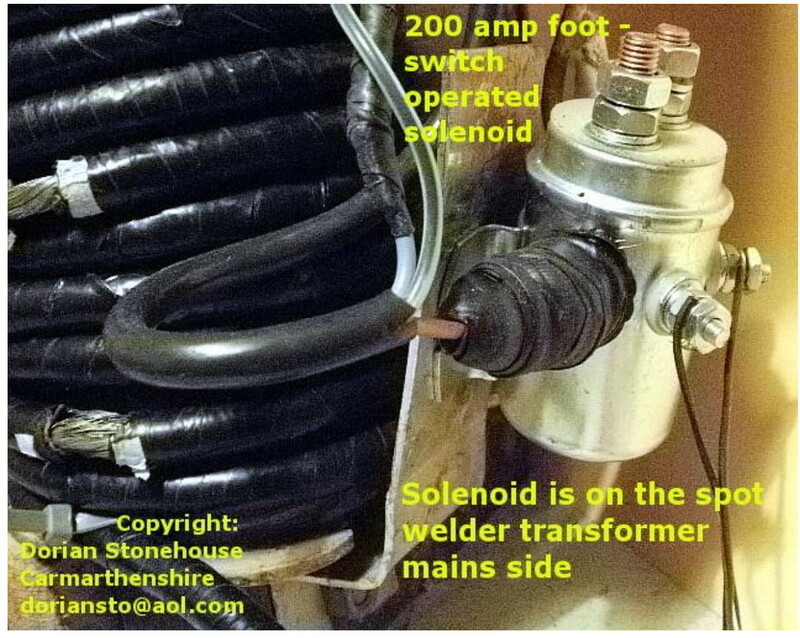 The solenoid is the type used in lorry (truck) lifts (elevators) and is rated at 200 amps minimum ⇑⇑ I always carry out an insulation test on these solenoid switches before fitting – very important! 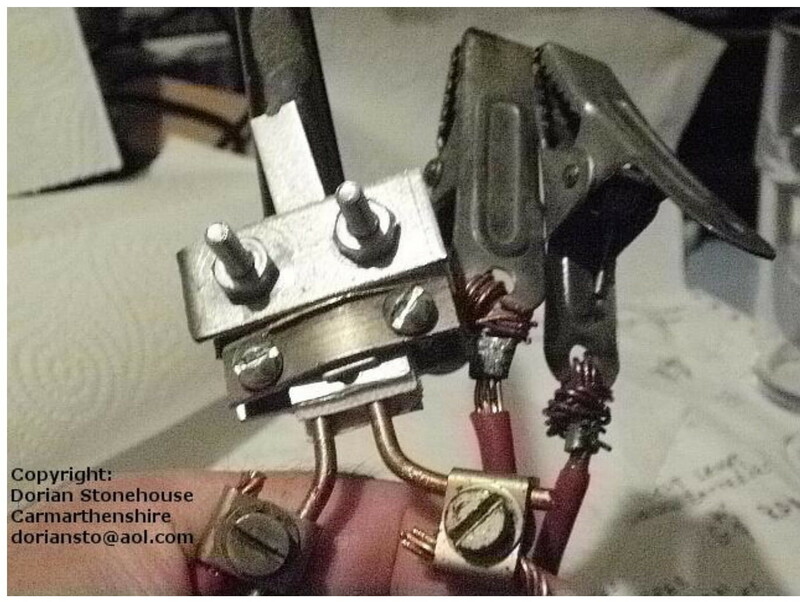 A good spot welding tool⇑⇑can be more of a challenge to make than the rest of the spot welder put together. 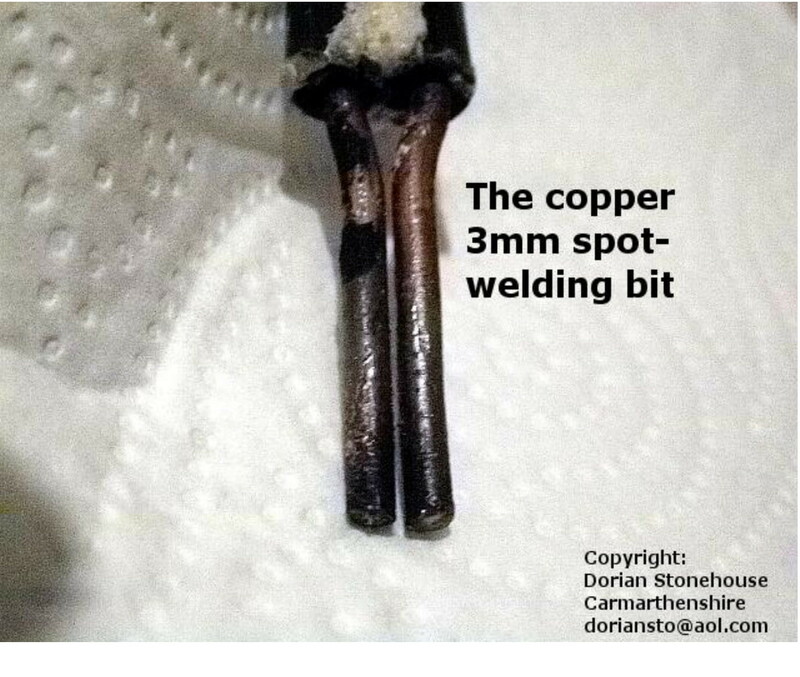 One of the challenges of this design is to stop the copper rods from moving back and forth along the tent poles. Here is one solution⇓⇓. 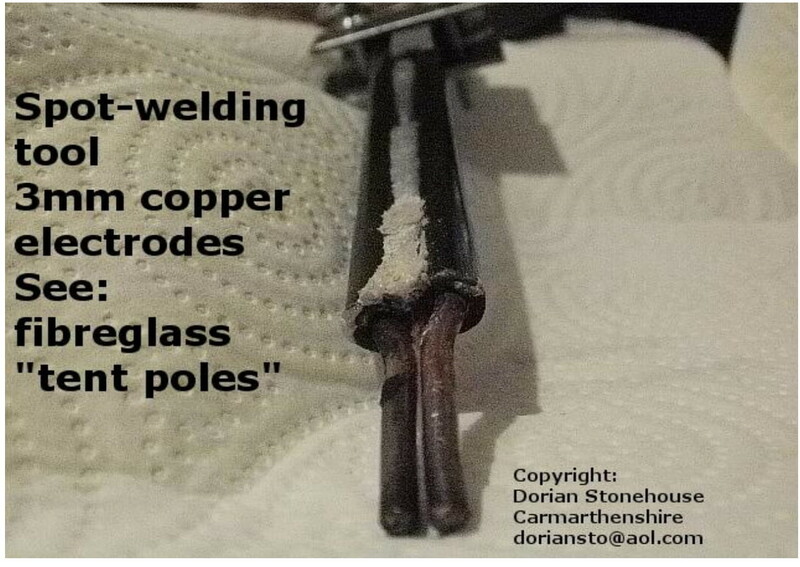 Caution: with high current flowing in the fibreglass tent poles, after some time they will get very hot. 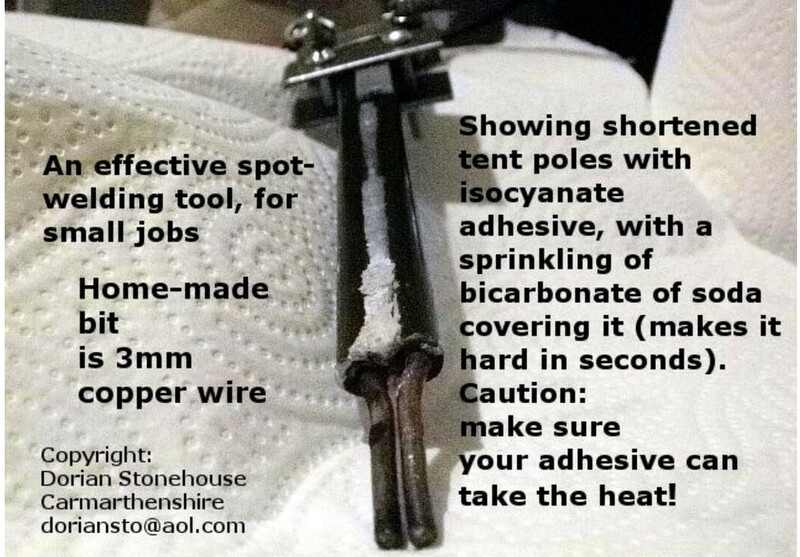 Ideas for the future might be to role a silicon heat resistant matt around the tent poles; or to use some other material with very high thermal resistance, so that the poles remain cooler. 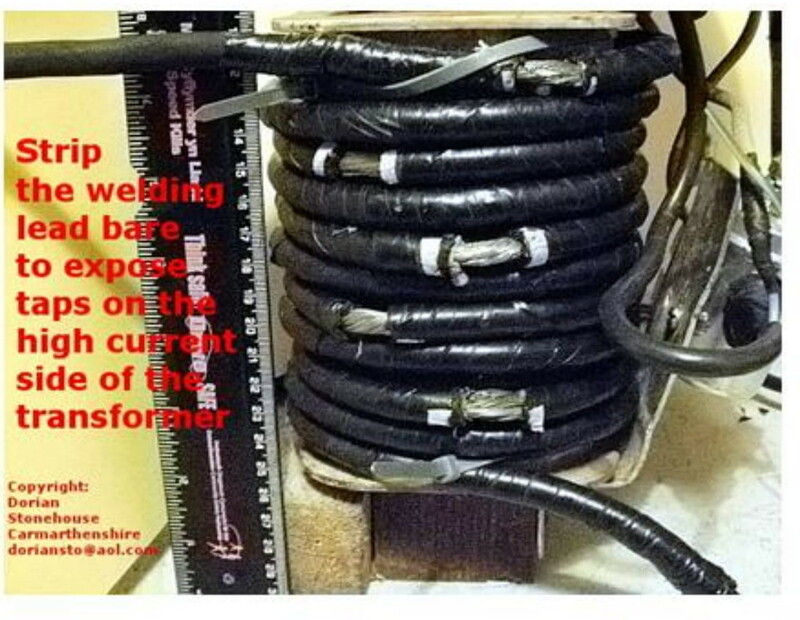 I have noticed that by the time the tent poles do get hot, the cables feeding the tool will also be hot, so a good time perhaps to let things cool down before proceeding with the spot welding project. 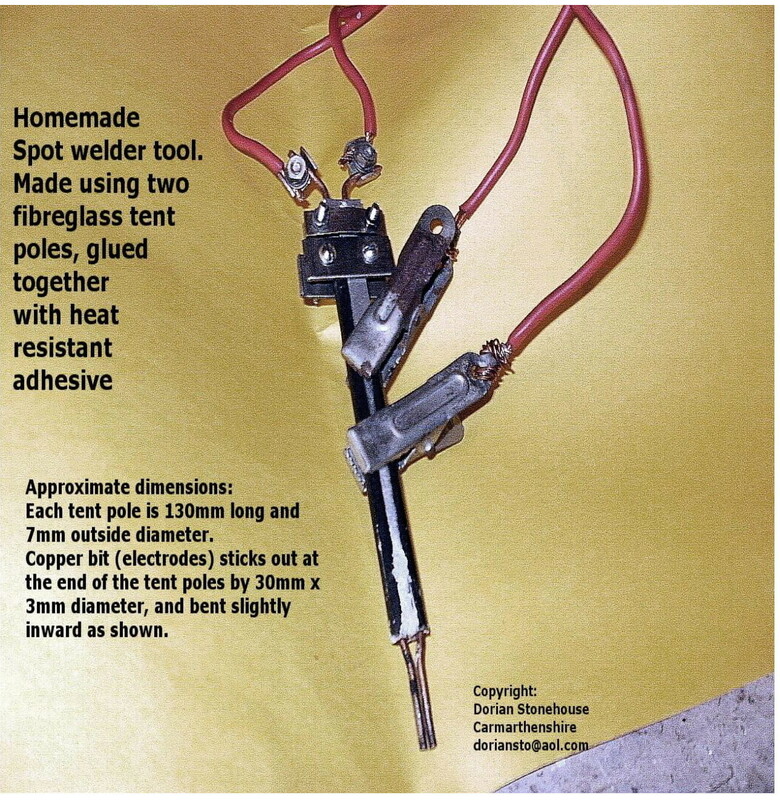 How well does the homemade spot-welder work? 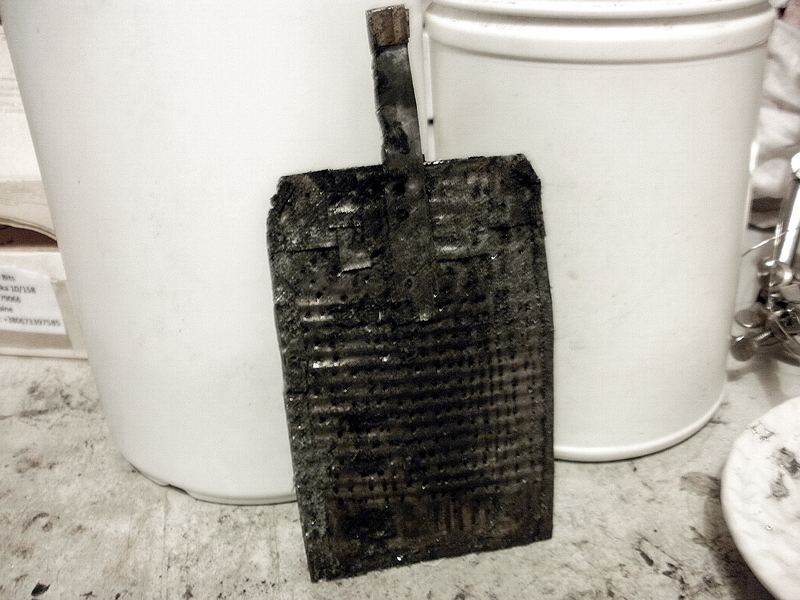 I did say at the beginning of the project that the spot-welder is capable of joining tin cans together. 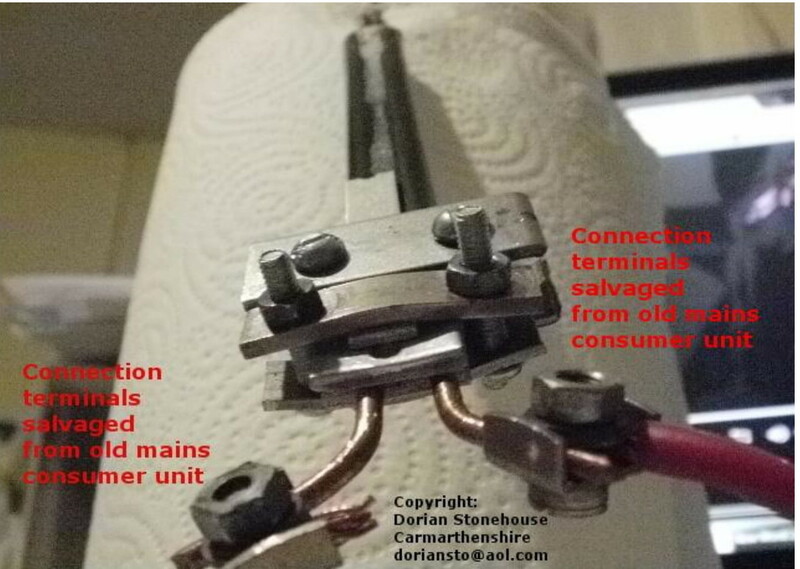 So, to show you what I mean, here is an earlier spot-welded food can ⇑⇑ made into a mild steel pocket for an Edison battery.